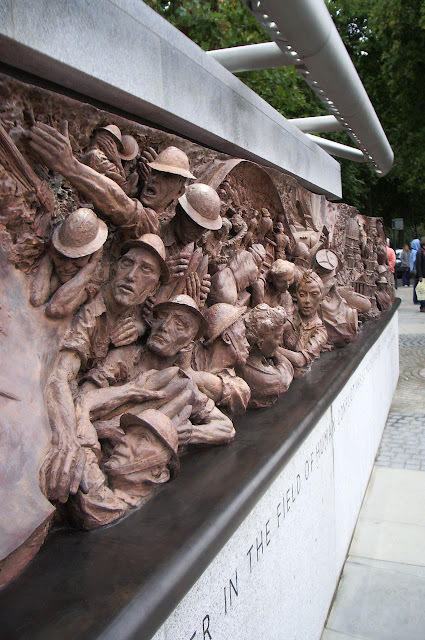 The summer of 1940 remains one of the most poignant periods of our history. 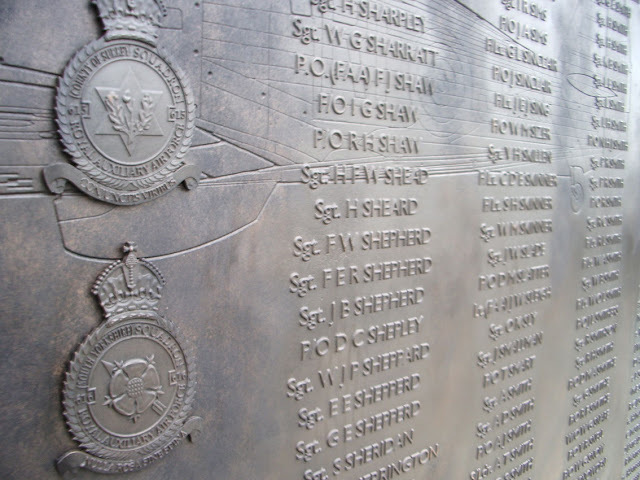 In the skies above Kent and southern England the largest air battle ever seen took place. The Phoney War was now firmly over and the threat to Britain was very real indeed. Churchill's phrase for the pitiably small amount of pilots the RAF actually had to fight and the fact that a whole country could be saved from potential invasion by such a tiny band of people. 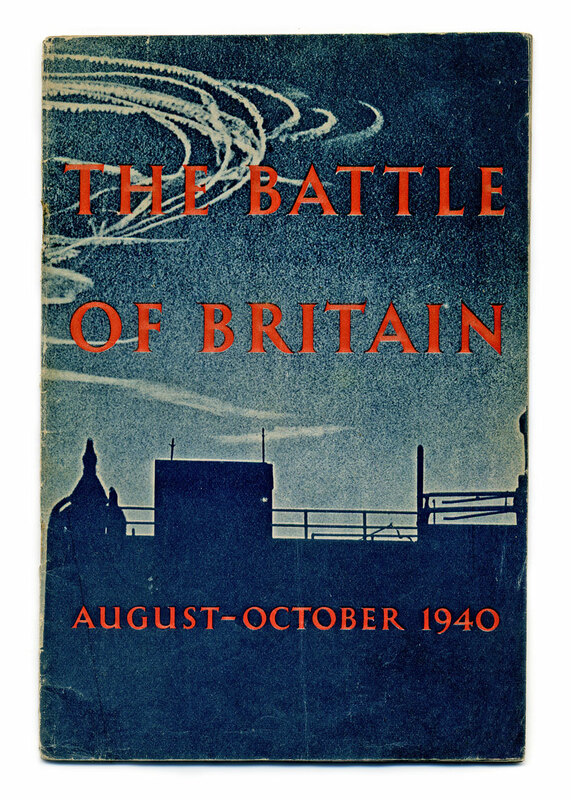 This is an original Second World War pamphlet brought out by the Ministry of Information, just after the battle, giving a detailed look at the events. 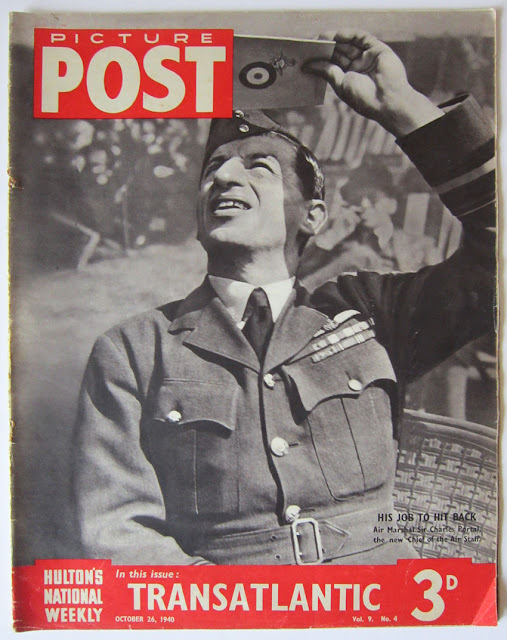 Here we have a copy of my favourite vintage magazine, PICTURE POST, from October 26th 1940, just 5 days before the battle was officially over. In typical Picture Post fashion, it features a really striking image, this time of Sir Charles Portal, the new Chief of the Air Staff at the RAF. This cartoon is from a bound book of PUNCH magazines from July – October 1940. 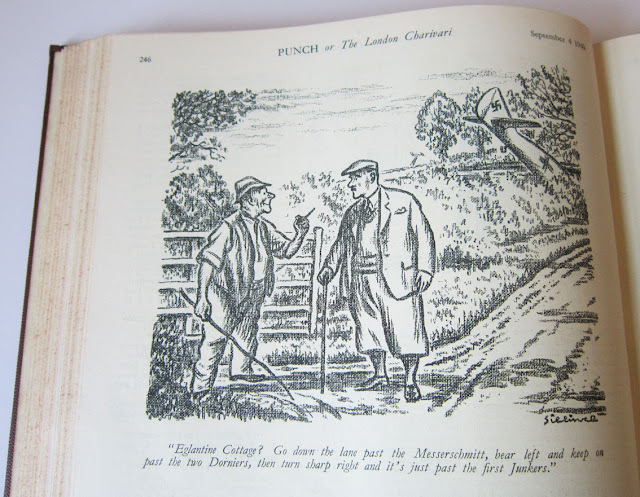 The whole book is full of exquisitely executed drawings from their dazzling array of talented artists that included Fougasse and H.M. Bateman. I absolutely love the spirit and attitude of these cartoons, this one included, that belied a tucked away steeliness to what was going on around people. A fabulous set of Royal Mail stamps from 1965, that marked the 25th Anniversary. 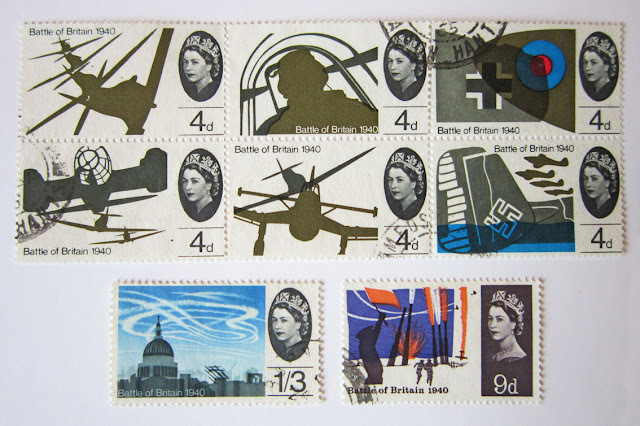 They are an imaginative and bold group of designs, with simple silhouettes to denote the different aircraft involved. I absolutely love them for their individual approach to illustrate the battle. 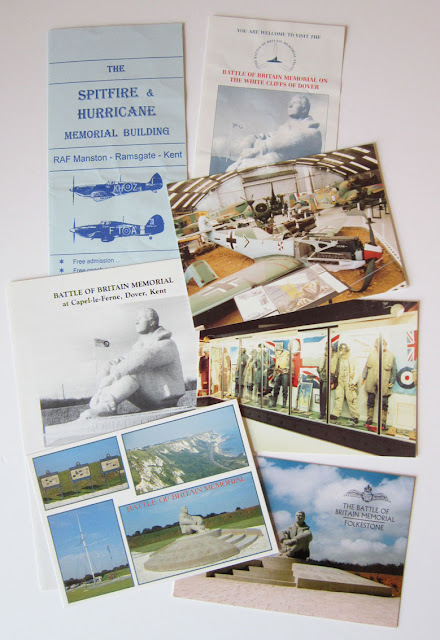 Various postcards and leaflets of the many sites you can visit in Kent that are associated with the battle. These include RAF Manston, the fantastic Battle of Britain Museum at Hawkinge and the hugely evocative Battle of Britain Memorial at Capel-le-Ferne near Dover. This features the statue of a lone pilot looking out to sea. 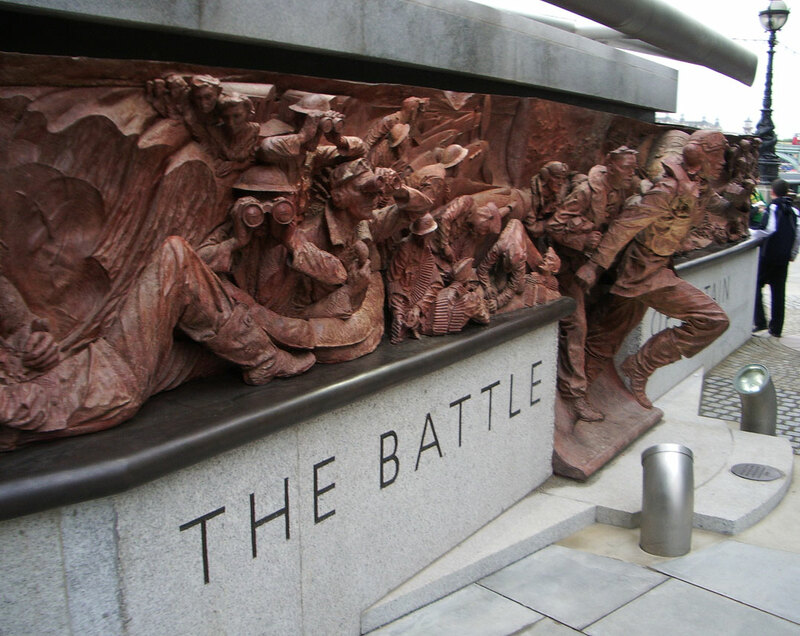 For me Kent will always be the Battle of Britain, the area somehow still resonates with it. I always think about it every time I visit the county. Much to my surprise, having stayed in a farmhouse near Warmwell in Dorset many times, I discovered that there was a huge Battle of Britain airfield right next to it! RAF Warmwell was right in the frontline to protect the south coast, particularly the naval base at the Isle of Portland. Now long gone, there are still tantalising clues to be found over the vast area it covers. 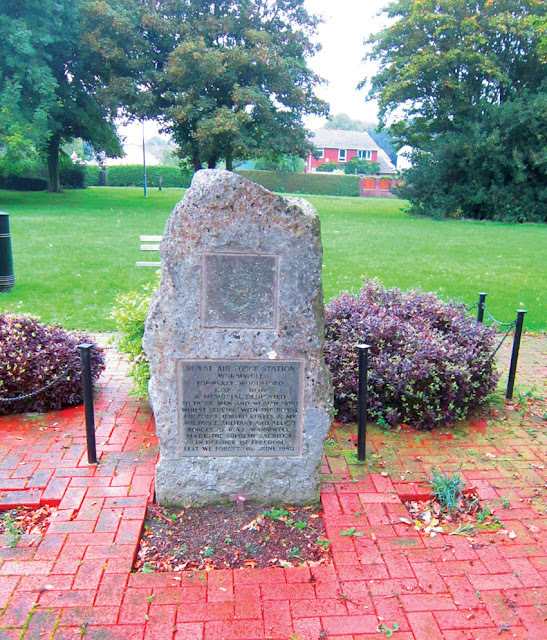 This memorial stone, commemorating the station, is right in the middle of a housing estate. 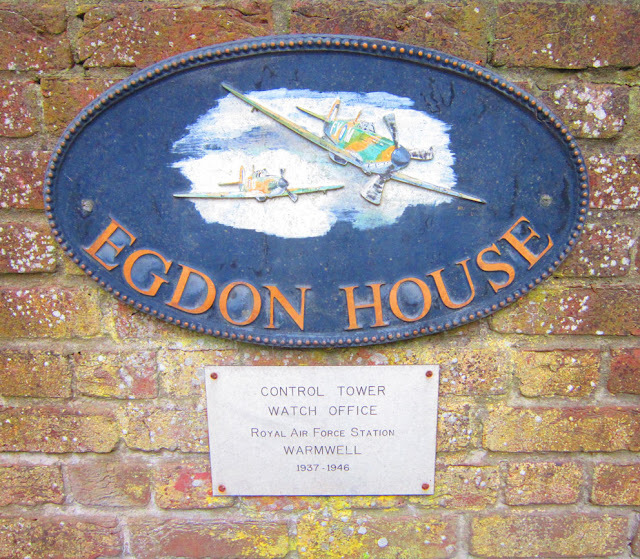 The Control Tower is now a private house, lucky them! 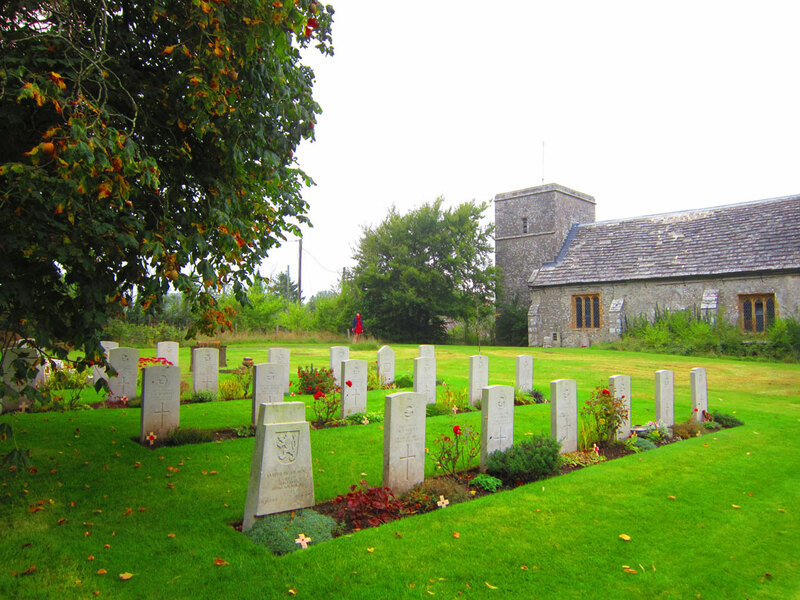 And more poignantly there are the graves of many RAF pilots in the church at Warmwell. 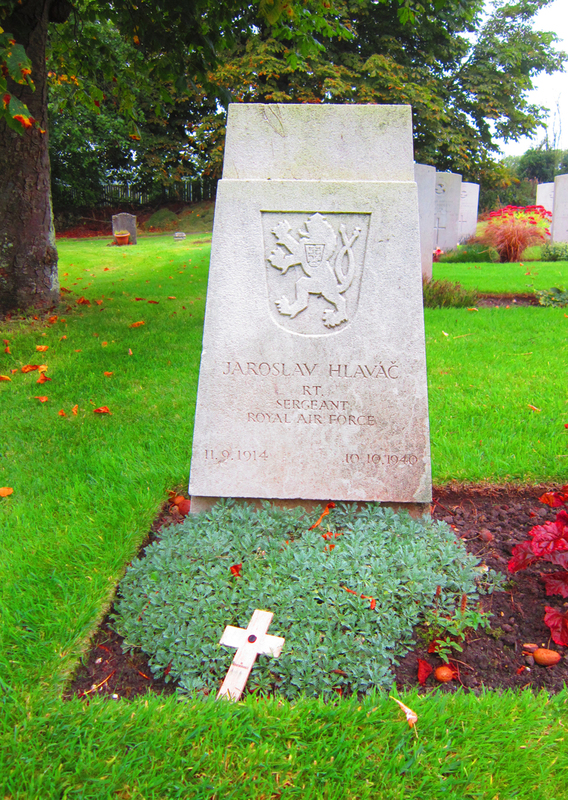 A stark reminder that pilots from many other countries fought in the battle. Here lies Jaroslav Hlavac from the then Czechoslovakia. This is the stunning and inventive Battle of Britain Memorial on the Embankment near Big Ben in London. 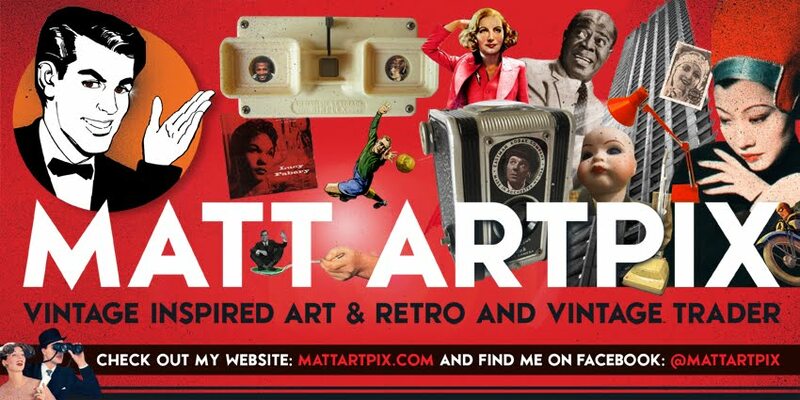 If you are in town, do have a look, it needs to be seen to be believed. 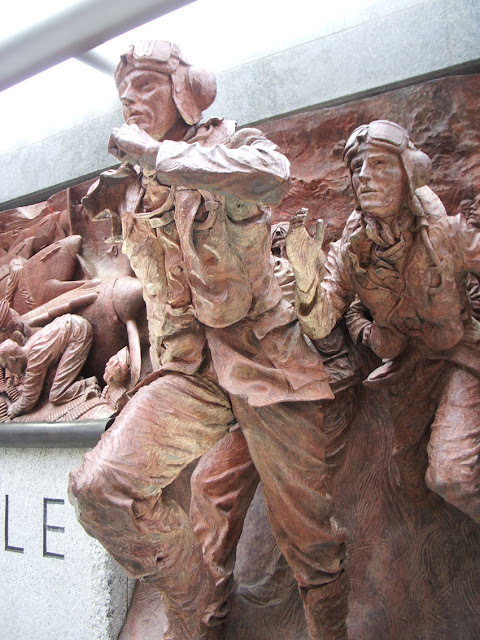 The figures feel alive as they dash towards their planes. 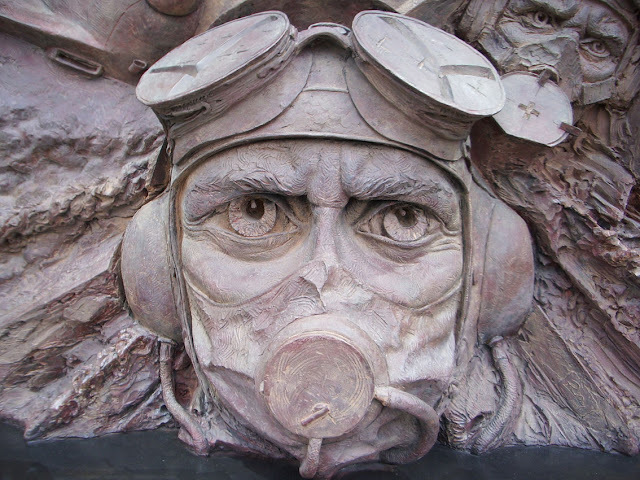 Every pilot who took part is mentioned along with the emblems of all the squadrons. 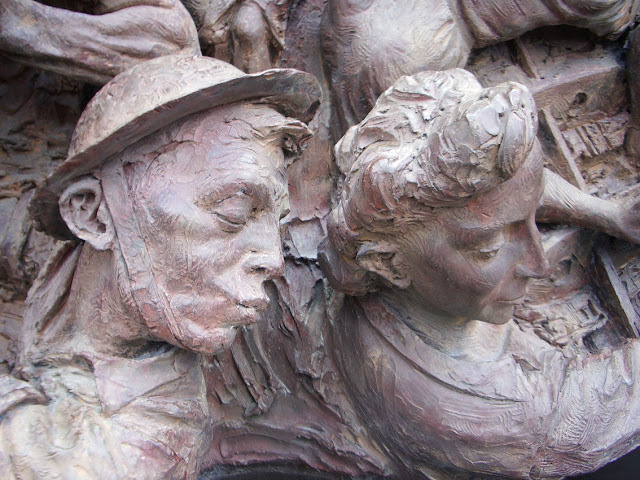 There is so much detail on the sculpture, with the vibrant figures representing all walks of life, not just the pilots. Look closer and you will find lovely touches of humour. These are actual pieces of aircraft that took part in the battle. This is a part of the engine casing of Spitfire MK II P7309. It was shot down and crashed at Pickdick Farm, Brede in Sussex on October 25th 1940. I'm glad to say the pilot, P/O Peter Olver, survived the crash having baled out, and went on to serve in Italy and live until he was 95. 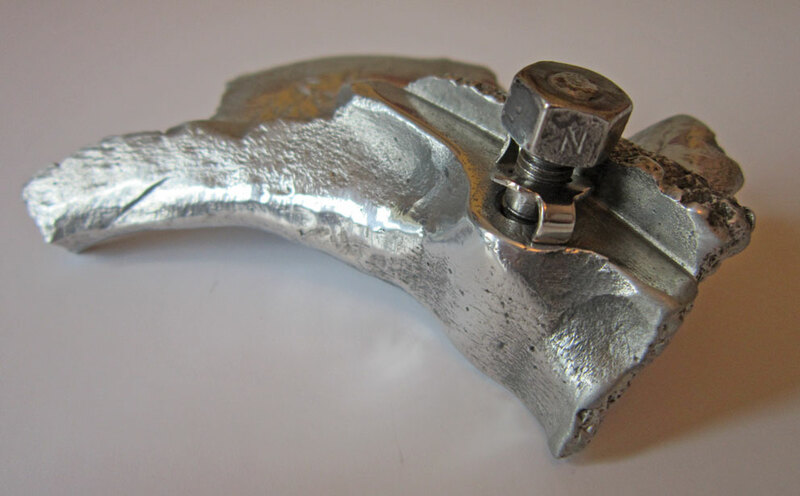 This is also part of an engine casing, this time from a German plane, a Messerschmitt BF110 (2104). 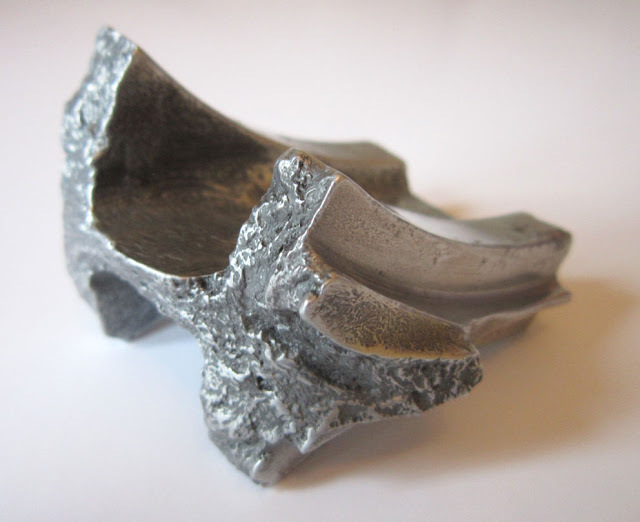 I don't have any details of where it crashed or who flew in it, but it remains a lasting and treasured piece of history.